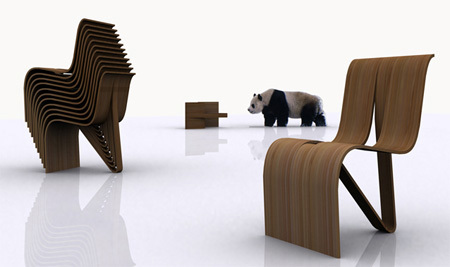 Modern chairs, stools and creative chair designs from all over the world. 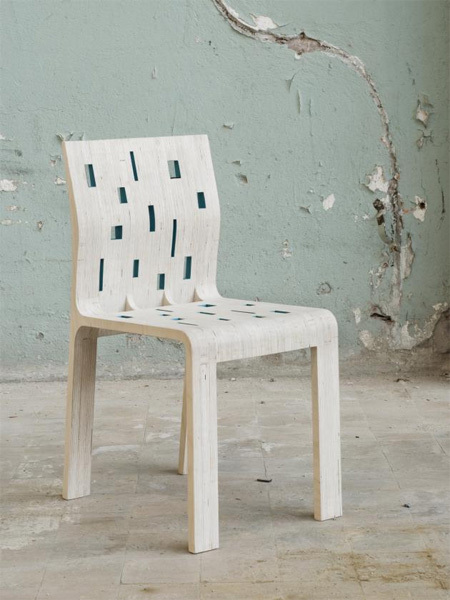 Modern chair by Caroline Havag, a design student at Norway’s Oslo National Academy of the Arts. 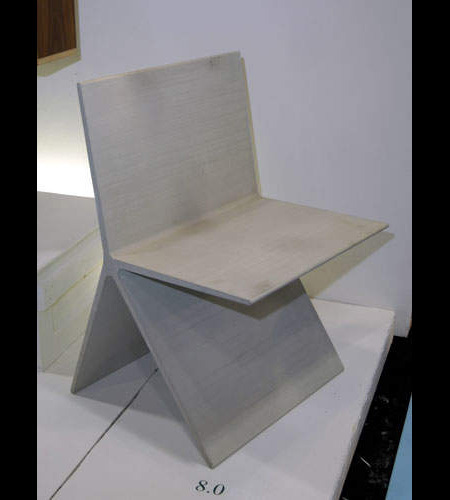 Modern chair by Jennifer Heier that is able to go down to its knees. 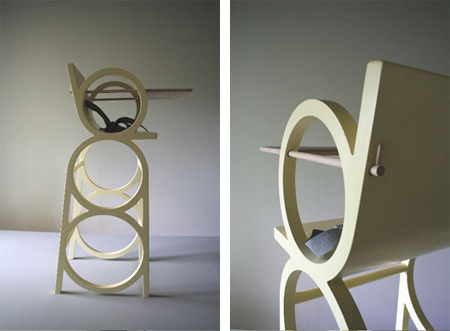 Creative stool design by Holly Palmer, inspired by Lewis Carroll’s Alice in Wonderland. 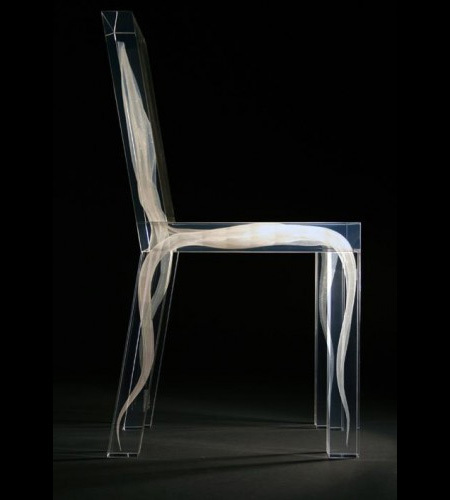 Unique chair made from cut paper by Charles Kaisin. Creative combination of a chair and a clothing hanger. 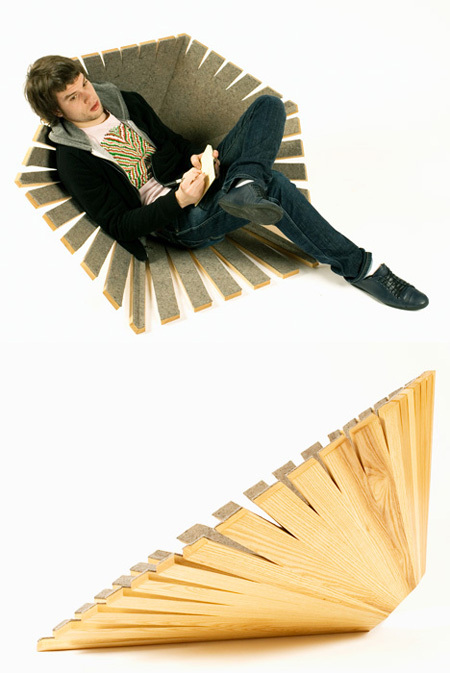 Kulms chair by MisoSoup Design is made from one sheet of bamboo plywood and is designed to be stacked when not in use. 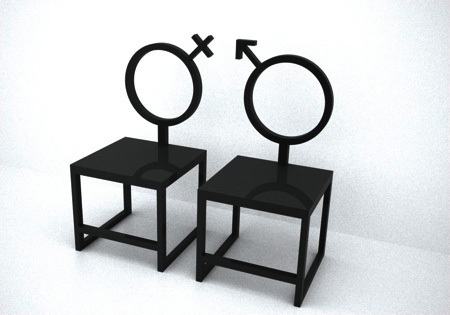 Creative chairs designed by Enoc Armengol and Arnau Miquel. 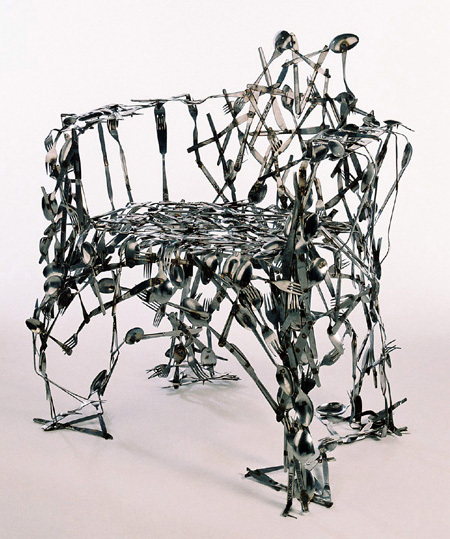 Modern chair uses old cutlery pieces as building blocks to create truly unique pieces of functional furniture. 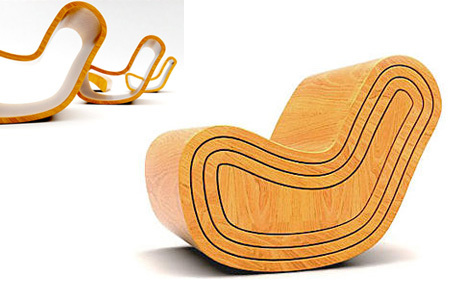 The FU Lounge Chair by Fernando ’FU’ Paullada. 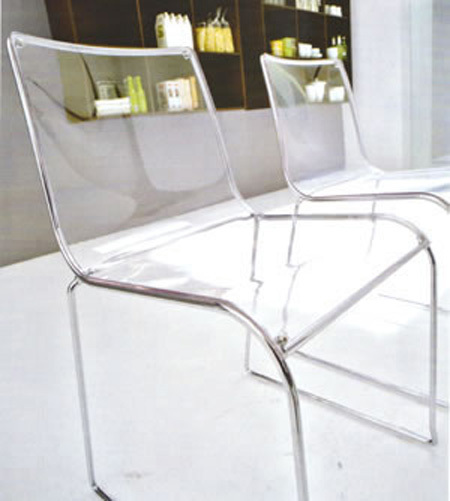 Calligaris Irony chair made from metal and transparent plastic. 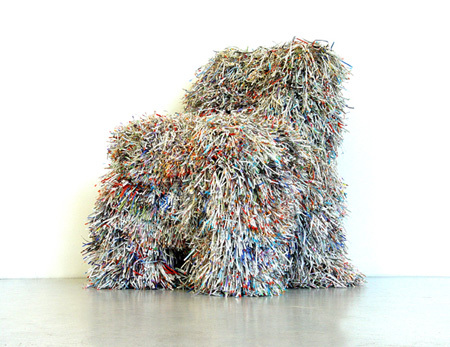 Modern chair by Chrisopher Kurtze’s studio in the Hudson Valley. 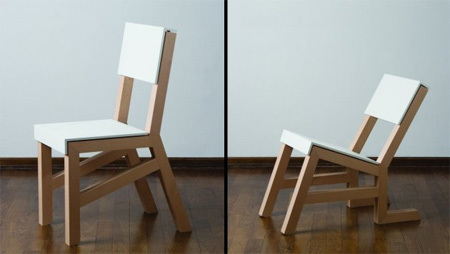 Creative chair by Filippo Gezzhani designed for The Home Key’s Simple Collection. 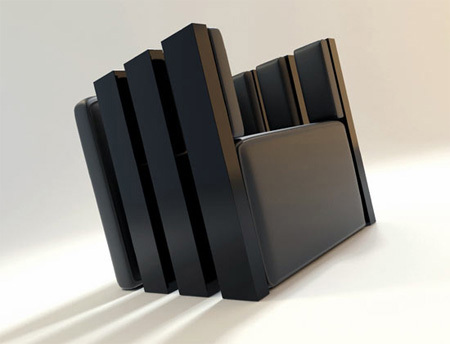 Designed by Dripta Roy of the Canadian based Puur Design Studio, the Magic is four neatly nested chairs in one. 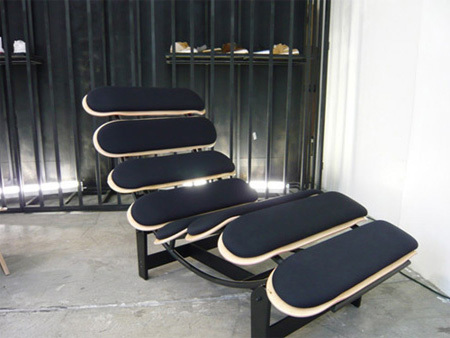 Creative Skateboard Jet Set lounge chair by Skate Study House. 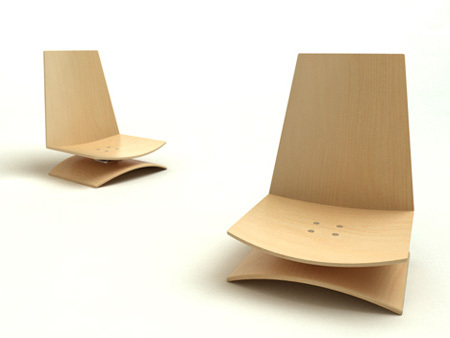 Toeloop chair by Mario Stadelmann is made from two pieces of bent polymer joined at both ends to create a seamless loop. 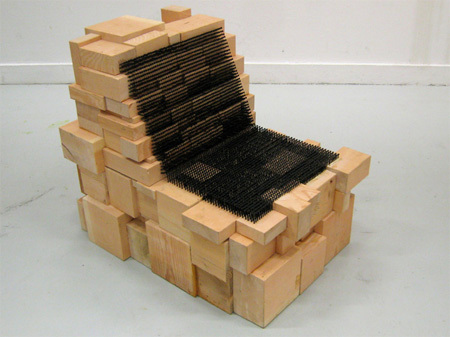 Creative chair by Revol Design made from scraps of douglas fir and 3,726 drywall screws. Omer Arbel, the Vancouver-based designer, has used ductile concrete in its first application as furniture. 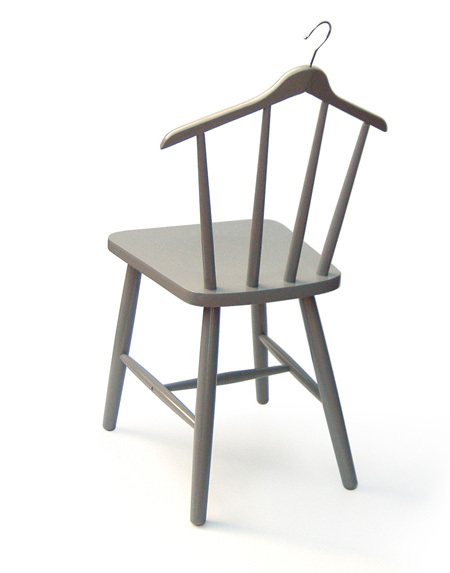 Beautiful rocking chair by Joseph Riehl looks like a comfortable addition to any room. 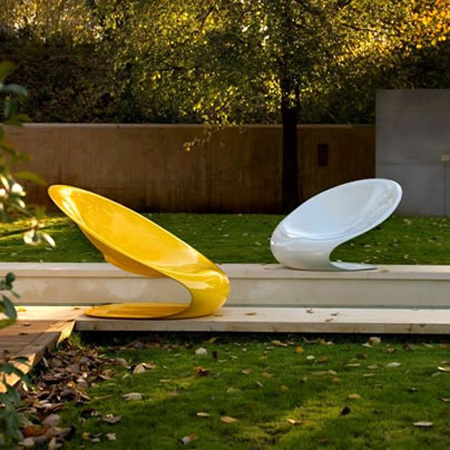 Modern outdoor/garden Disk chair by Karim Rashid. 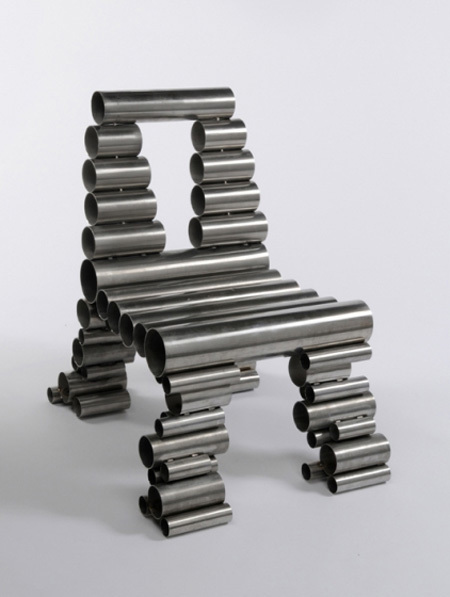 Modern chair made from stainless steel tubes sourced from reclamation yards. Chaise longue, also known as “chaise lounge” or “lounge chair” in North America, is a chair that is long enough to support the legs. I too used the Toeloop Chair in my Best Spaghetti (and Fettuccine) Designs post. 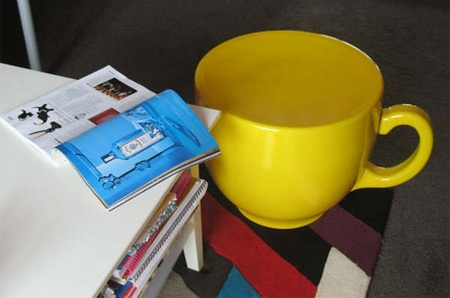 The Nested Chair would fit my little apartment. 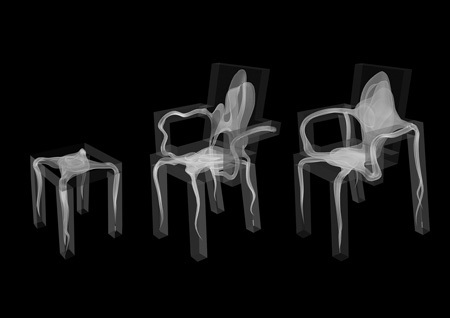 i like the ghost chair. amayzing chair, i love them all!! Friends in art school made that shopping cart chair almost 20 years ago. I like theirs better. It had a foot rest. 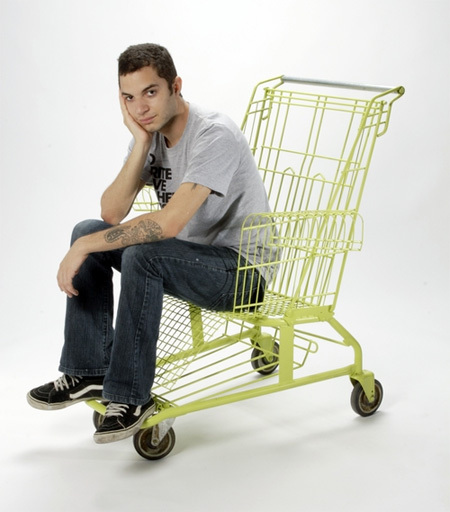 i love the shopping cart chair!! 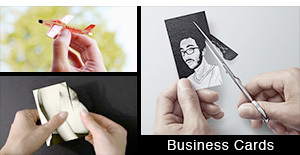 Very nice designs. 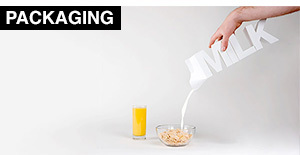 Good website. my favorite part about chairs is sitting in them. I REALY LIKE ALL OF YOUR CHAIRS.THEIR DESIN ARE VERY EXCITING. 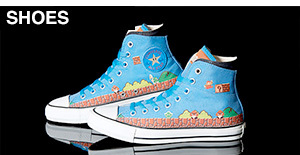 THOSE ARE THE MADEST CHAIR DESIGNS EVER. Hang chair is a cute idea, being that most people throw their jackets and such on chair backs anyway.. but I think its kind of dumb looking from an aesthetic perspective.. The Nested & Disc chairs are my favorites in the bunch. ..hmm The Ghost chairs are actually really neat as well. 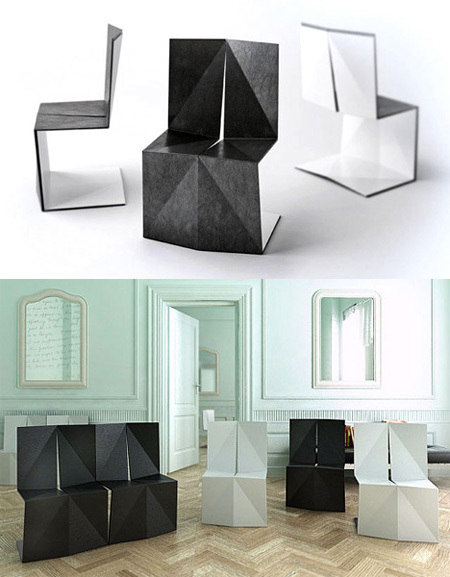 Very nice chairs, its inspiring! Thank for this! 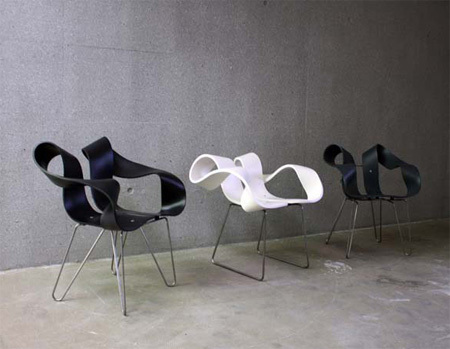 A very good collection of chairs niceeeee……..
amazing chairs, where did you get your inspiration from? 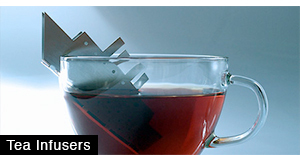 currently studying interior design and find your work extraordinary! the chairs are original, some with a comforting aspect and others simply one of a kind, the “alright chair” went alright with me… i’m now finishing up a chair myself, it will be ready by tomorrow. The chair’s form had to be made of a certain way but the theme or any art work on top was free for ideas, i chose a musical theme. breath-takingly beautiful. 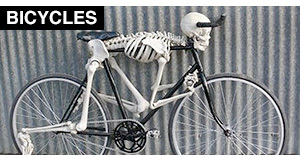 creativity at its best. 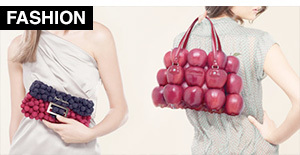 wish i could own the ghost-like and nested piece. keep up the good job!